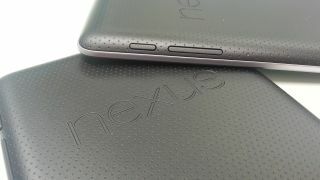 Google releasing new Nexus device this month? Rumour has it that Google will release a new flagship Nexus phone at some point in October. We've been hearing inklings of our own, bolstered by AndroidAndMe's "three different industry sources" who say that the new device has "already leaked" online. Before you get too excited assuming that a new flagship Nexus means we're in for a slice of Key Lime Pie, the same sources say that the device will launch with a new version of Jelly Bean rather than a major software upgrade. But the hardware might just be exciting enough to keep us going into the new year; given that it may have already leaked, we're looking at a Samsung-made Galaxy Nexus 2, a cheapo Nexus 7 or perhaps a larger HTC Nexus 5. Given that Asus has poo-pooed the idea of a bargain-basement Nexus tablet and that we're expecting a flagship smartphone rather than another slate, we'd rule that one out of the running. So will it be Samsung or LG that's next to step up to the Nexus plate? Or even that leftfield HTC contender? We should know by the end of the month. Another potential smartphone to add to the Christmas wishlist – we must have been really really good this year.